A raccoon was caught sneaking into the stadium to see the Giants-Eagles game on Monday night. 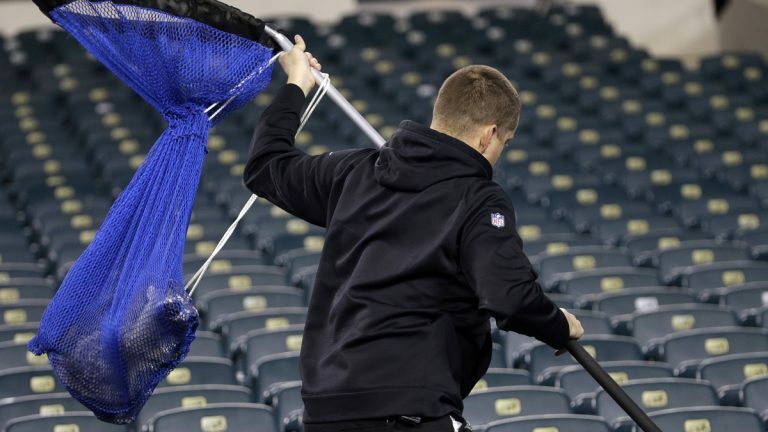 The raccoon was captured by a worker in the stands at Lincoln Financial Field before kickoff. It was carried off in (Giants) blue netting. There was no word on where the raccoon went after it got the boot. The Eagles (2-3) already have a mascot. The NFC East-leading Giants (3-2) have won three straight games entering the game at Philadelphia.